Digital nGenuity exists to help clients realize business benefits through the cost-effective use of technology. We believe in building for the long term, developing trust and strong relationships with our clients, putting them first at all times and helping them to continue to transform their own businesses. We must remain pertinent to our clients so we invest in understanding their challenges, not just the wider industry issues but the specifics of an individual client's business. This investment is the basis of our business development ethos, ensuring that our services and the people providing them continue to add value in long term relationships. We grow by helping our clients to grow. We encourage continuous improvement and innovation. We like to challenge conventional thinking and to push boundaries. Our people are exceptional and are undoubtedly our greatest asset. We set high standards and we give our people the tools, the training and the management support they need in order to achieve their true potential. We offer people careers that are both challenging and highly rewarding. We are dedicated to delivering quality in every aspect of our business and believe passionately in absolute integrity in all that we do. Have you ever considered how much technology issues cost your company? How much time your team spends staring at a spinning cursor? It adds up! Digital nGenuity provides comprehensive strategic, operational and proactive technology management services that allow you and your team to do what you do best: deliver first-rate service to your customers. 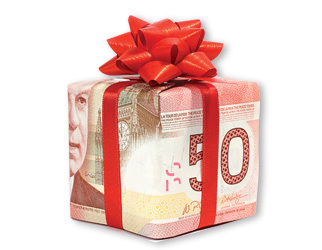 Our gift to you will be putting money back to your bottom line.